WONDER WOMAN - Linda Carter. She gets it. Jane & Sara have a vision for Luscious that is about elegance, sultry summertime & retro Europe. A mix of relaxed glamour, sophistication & fun. Their vibe is about combining classic and sensuous with timelessness and fun. Debbie Reynolds caught in a sundae. Our 35th President enjoying the finer things. 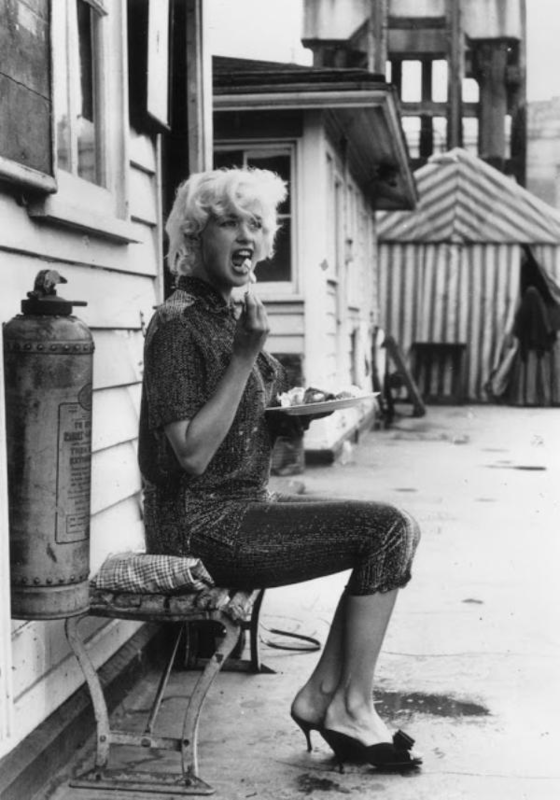 Jayne Mansfield in capris, mules and casual glam.... with a plate of ice cream and fruit.